Come to New Bill’s Auto Body for MD State Inspection in Thurmont, MD or Surrounding areas in Emmitsburg, Woodsboro, Frederick, Carroll Valley, & Gettysburg. New Bill’s Auto Body provides trusted Maryland State Vehicle & Trailer Inspections in Frederick County MD. Most used vehicles are required by Maryland Law to undergo a safety inspection prior to its sale or transfer. Generally, the seller or person transferring the vehicle is required to obtain the inspection certificate. However, for class E trucks (exceeding ¾ ton manufacturer’s rated capacity), class F truck tractors, and class G freight trailers, semi-trailers and dump service semi-trailers, either the seller/transferor or the purchaser/transferee may obtain the inspection certificate. The purchase/transferee than submits the inspection certificate to the MVA in order to register the vehicle. 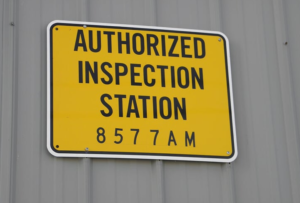 However, if your vehicle is inspected at an inspection station that offers an electronic inspection service (e-inspection), you will not receive an inspection certificate. Your inspection certificate will be electronically sent to the MVA.